Social media is more than just a marketing channel for your brand to communicate with and foster relationships with users. Platforms like Instagram and Twitter are powerful tools to generate leads and drive members of your audience to take action. 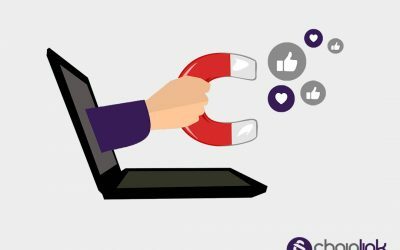 Lead generation is best described as the process of converting a person from a passive observer of your brand’s content into an engaged participant or potential customer. There are many tactics your brand can use to achieve this through social media and increase conversions. Read on for lead generation ideas and tips for the four main social media platforms today. It’s likely that the majority of your audience on Instagram passively views or likes your posts. Therefore, unless they are super familiar and well-connected with your brand, they probably don’t opt-in to any of your brand’s emails or newsletters. There are plenty of steps you can take to get a passive user to take action. 1) Include a link to your website in the bio of your account. Instagram only allows one link, which means it won’t get lost in a mess of URLs. 2) Create a specific landing page on your website that’s optimized for Instagram. Invest all your time, energy and resources into making this page the best it can be, because it will probably be the first (and possibly only) impression you can make on your Instagram followers. Taking these steps, and having an effective CTA, will increase the likelihood that users input their email when visiting your site. 3) Use an Instagram story to promote your website and reach those who don’t actively look at your brand’s account and won’t see the link. Be sure to utilize the swipe-up feature to maximize efficiency. 4) Post a fun, eye-catching announcement of a contest or giveaway and include the rules to enter in the caption. If it’s done right, it will be a great incentive for people to follow your account and share with their friends. 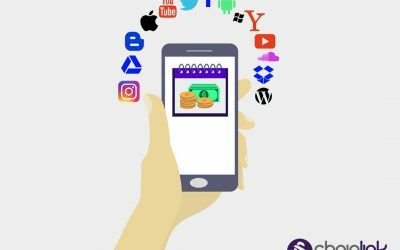 The most common tactic is to have users enter by following your account, liking the post, and tagging a friend in the comments. However, don’t do it too often or you’ll risk losing the authenticity of your account. Increasing your follower count and engagement can generate leads, since more people are viewing your content. These are all simple tasks for the user to complete, and you get more followers interacting with your brand. White Fox Boutique does an excellent job of referencing the link to their website in each caption. This entices users to go view items featured in their posts. When you want to keep things short and sweet, while still making an effort to increase conversions, Twitter is the best channel. Sending out tweets whenever you have a new blog post or deal will help keep your audience in the loop. Better yet, offer up a discount in exchange for a potential customer’s email. This will entice them to visit your site and could lead to a purchase. Using highly interactive features like polls can also increase your engagement and help you get feedback from your audience. For example, you could tweet a poll asking users what topic they would prefer to see on your blog. Users would then vote on which blog post they would be more likely to read. Not only does this give your brand insight as to what your audience wants to see, but it also makes users more inclined to read the content since they had a say in what was posted. Overall, polls are fun and quick for users to participate in and can help engage users who previously did not interact with your account. 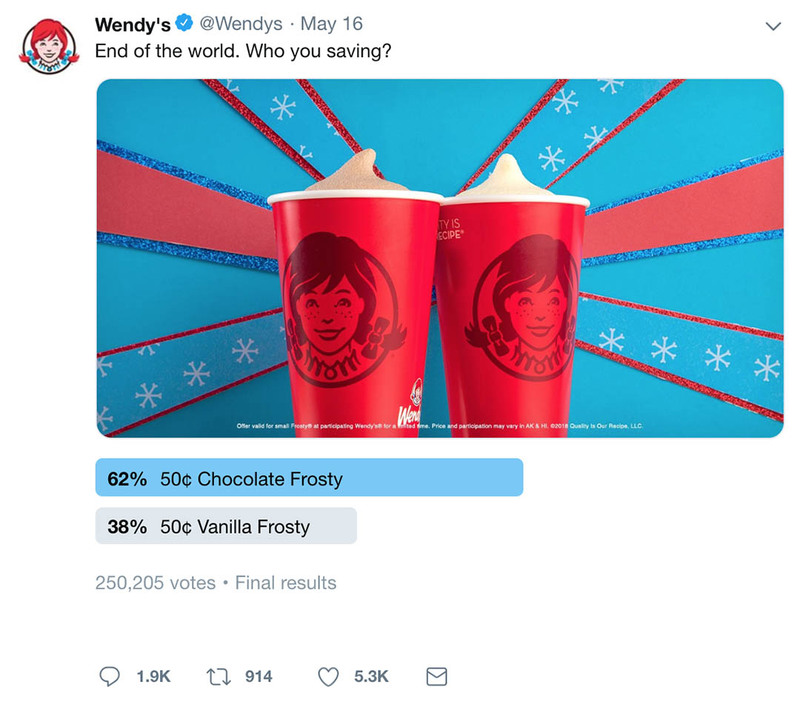 Wendy’s is known for tweeting out fun (and sometimes pretty random) polls. They don’t necessarily gain a wealth of important information from the poll results, but they help keep their audience engaged. The Facebook algorithm tends to favor video content. Try using this to your advantage by posting short clips on your company’s page, or better yet, utilizing the Facebook Live feature. By mentioning your company’s website or newsletter within your content and providing a link, you will entice more of your audience to engage with your brand. Video content also helps to humanize your brand and make your followers feel more connected. 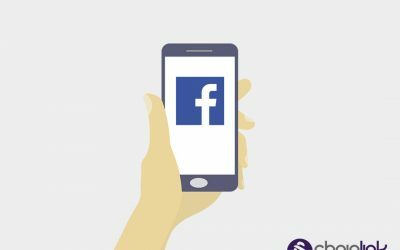 Facebook also has a useful Call to Action Button feature, where users who visit your page can easily “Shop Now” or “Sign Up.” You can customize this feature to drive more traffic to your website and acquire more leads via email sign-ups. 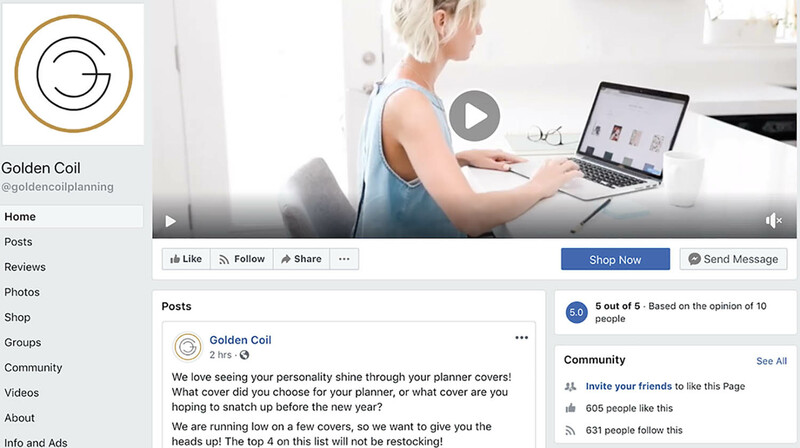 Golden Coil, a brand that makes planners and notebooks, uses the “Shop Now” Call to Action button on their Facebook page. They also have a have a cover video, rather than the usual cover photo, that automatically plays when a user visits the page. The user can learn more about the company in a few short seconds and then has the option to visit the brand’s site. It is a common misconception that LinkedIn isn’t the ideal platform for generating leads. However, it is probably the most underrated of all the popular social media sites. LinkedIn has a thriving network of users who actually want to follow and connect with brands. In order to use LinkedIn to its full potential, post meaningful content that users are compelled to engage with. This could include your own brand’s content, industry news, or other posts from LinkedIn users. Posting updates can also pique the interest of your followers and helps to personalize your page. Inviting users to connect and regularly commenting on other posts can also be beneficial. LinkedIn is a very reciprocal site, so users will likely return the favor and check out your content. Of course, linking your company’s site is crucial so any viewers of your page can check it out after learning more about your brand on LinkedIn. 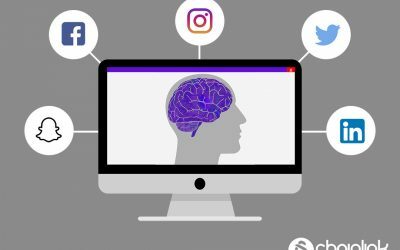 Using one or all of these techniques can help your brand increase conversions through social media. It’s important to focus on quality over quantity, however. Users are constantly inundated with content from brands attempting to generate leads. Your primary goal is to use strategic techniques to obtain get high-quality leads, rather than a high volume of low-quality leads. Evaluating your brand’s goals will help in making a decision about which methods are right for you. We know firsthand that generating leads using social media is easier said than done. Our team of social media experts can figure out the ideal strategy to achieve your company’s goals. Reach out to us to learn more about how our services can help transform your business. Remember to sign up for our newsletter below for exclusive tips, too. Your social media ad strategy plays a key role in determining your overall marketing success. This post helps you choose the platform that will work best for your business needs.